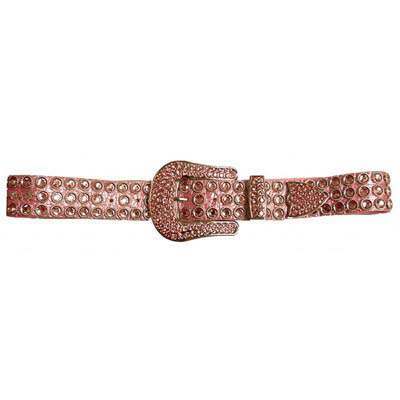 The city lights buckle is made from pink crocodile and adorned with light rose crystals. The buckle is also made with pink crystal set into silver. 1 1/2 in. width.